Summary (from the inside flap of the book): In her more than fifteen years as an airline flight attendance, Heather Poole has seen it all. She's witnessed all manner of bad behavior at 35,000 fee and knows what it takes for a traveler to become the most hated passenger onboard. She's slept in flight attendance crashpads in "Crew Gardens", Queens--sharing small bedrooms crammed with bunk beds with a parade of attractive women who come and go at all hours, prompting suspicious neighbors to jump to the very worst conclusions. She's watched passengers and coworkers alike escorted off the planes by police. She can tell you why it's a bad idea to fall for a pilot but can be a very good one (in her case) to date a business-class passenger. Heather knows everything about flying in a post-9/11 world--and she knows what goes on behind the scenes, things the passengers would never dream. Review: I enjoy non-fiction books where I can learn about a topic that is totally new to me and where the book isn't a dry series of facts. This book fit the bill for me. 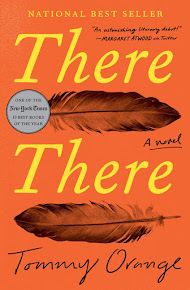 It's funny, interesting, quirky, and a good story (or, series of stories). I travel a lot and don't really think about it all that much. My daughter and I are self-sufficient travelers who don't ask for any extras, follow the rules, and are amazed when we see people who cause trouble in the small space of an airplane. For example, the guy who yelled, swore very loudly, and threatened the parents of 18 month old crying twins on our Christmas flight to Florida. I was convinced he was going to hit the dad and it was really scary. The flight attendants handled it well and I was impressed. This book follows Poole's decision to become a flight attendant, her training and what life as a flight attendant is like. The training is way more than I thought with super serious and strict rules. I was also very encouraged by the amount of emergency training they get. I've also wondered where flight attendants sleep when they aren't flying since they must not be there a whole lot. Now I know they pay only a little for a bed in a multi-bed house and some commute from a different continent! 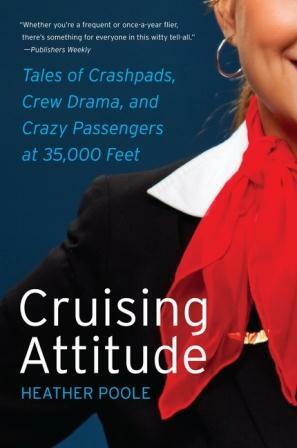 The best part was the stories about crazy passengers, how flight attendants choose jobs on a plane and all the little details that go into making a flight good or bad. The next time I get on a flight (next week for spring break) I am going to be extra nice to the flight attendants!